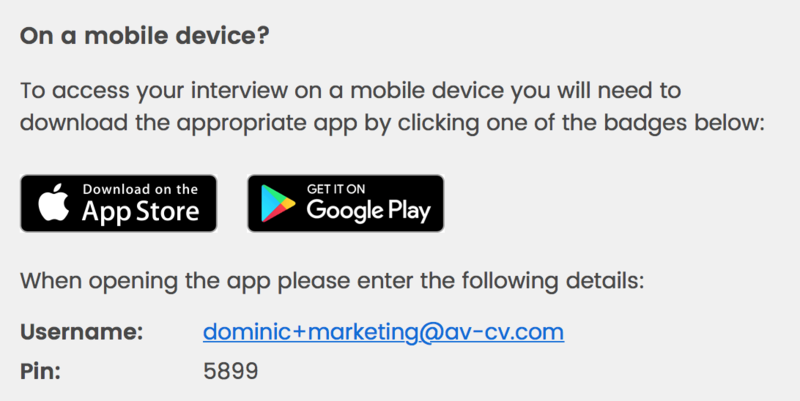 How do I complete an interview on my phone? This article will explain how to conduct your Video Interview on your phone. Firstly, you will have to download the app for your device of choice. You will receive these links in your email but if you still can't find them, then we have added the links here for you. Once you have downloaded the app, you will have to use the login details that you receive in your email. This will look something like this and you will find it towards the bottom.